You know you probably should get rid of some of the mess around your house, but you just don’t. Maybe you keep things around for that “just in case” moment. Besides, the value of something is entirely in the eye of the beholder. So how can you tell if your house is full of clutter or if you’re a bit of a hoarder? Here’s a little more information on the difference between hoarding things and having clutter, and how a storage rental could help. Clutter can be described as a scattered mess, or items strewn about your home or office. It’s messy, yes, but still easy to move around in, and in almost every case, ignore. Clutter can even be collectibles that hold sentimental or monetary value. Extra rooms are used for their main purpose, and you have no trouble inviting people over. 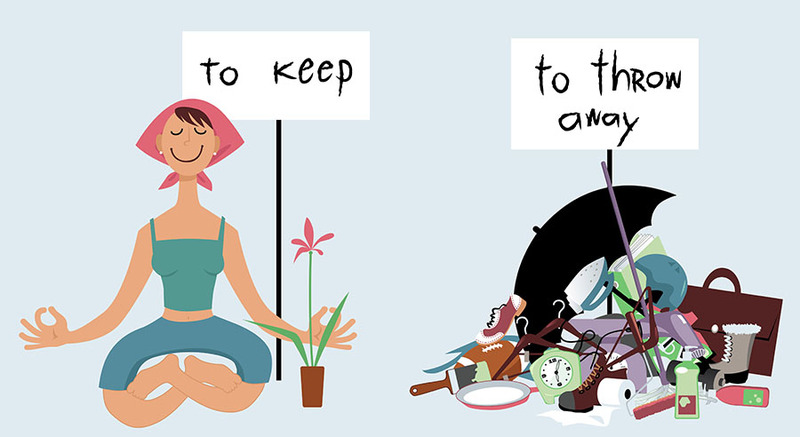 Hoarding is identified when it becomes mentally or emotionally painful to let things go or throw them away. You don’t own just one or two of an item, you have 20 or 30 of them. It’s hard to walk around without bumping into or stepping on something, and places around your home like shower stalls and spare rooms have been repurposed into storage rentals. You would rather not invite others over in case they see it, but you can’t stop bringing things home for those “just in case” moments. How Can a Storage Rental Help? If you’ve realized that it's time for a change, whether it’s for clutter or hoarding, utilizing a storage rental with Affordable Family Storage can help. By placing groups of your clutter in a storage rental, you can tackle little chunks of it at a time. Getting you and your items away from the house and in a new environment could give you a new perspective on the value of your things, and, more importantly, help with the cleaning process. It’s important to ask yourself what you want your home life to look like and use your answer as motivation to finally clean out that spare room or guest shower. Affordable Family Storage can help. Whether you’re looking for a place to store your garage clutter or you need a serious space for organizing and tossing your things, a storage rental could be the solution you’ve been searching for. We offer 10 locations across the Midwest for your convenience, and at affordable prices. Contact us now to learn more about our facilities or reserve your storage rental online.